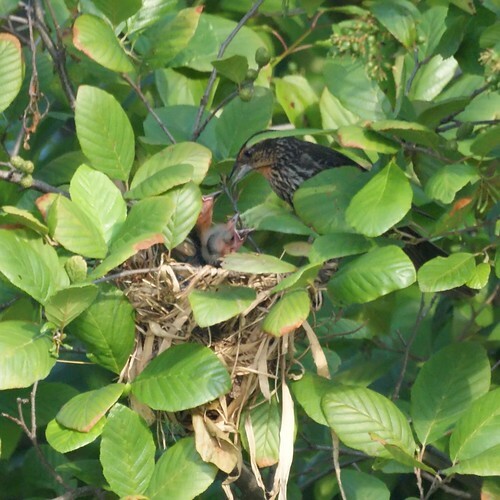 We're not the greatest fans of the red winged blackbirds, at least Chris isn't, but this morning while out in the boat, we found this nest and we are big fans of baby birds. When we first passed it, we didn't know whose nest it was. On our way back, we saw the female first feeding several times. 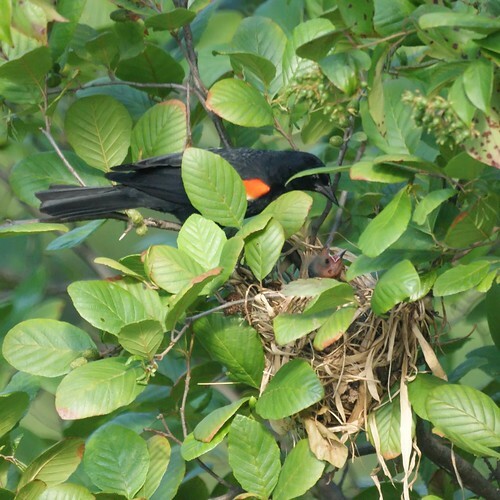 It was really fun to watch them, and we hung around long enough to see the male come to the nest too.